A few more poems from June Jordan, easing the end of a rough week where so much had to be done, almost all of it cold-derailed. 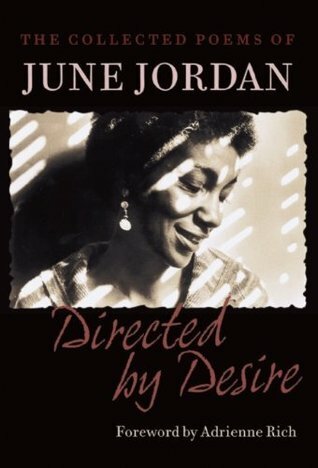 I love her poetry, love how Jordan always holds in precarious shining balance joy and suffering, life itself as we are bound within it. Part of nature, never apart, and nothing is wholly innocent. to my boredom: numb as I might like to be. Her words take my breath away sometimes. Always they fill me with release, reading in these perfect words the wordless furies I know, resistance I feel. What better way to respond to such a week, such a world, than this. Together with a dream of growing a much much thicker skin.